Coastal Carolina University is a 4 year public university near Myrtle Beach, North Carolina. Our engagement lasted approximately ten months with iFactory conducting Discovery, Information Architecture, Visual Design, and HTML front end development. The site was developed on the TerminalFour content management system. "CCU and iFactory teamed up to overhaul our outdated, non-responsive University website. I was very impressed with iFactory’s knowledge of website trends and expertise with digital technology, as well as their intimate understanding of the various audiences we tailor our messages to, and the challenges we face in higher education. iFactory’s strategic approach and processes for keeping us on target were instrumental in the successful launch of a new website that our entire community is proud of." 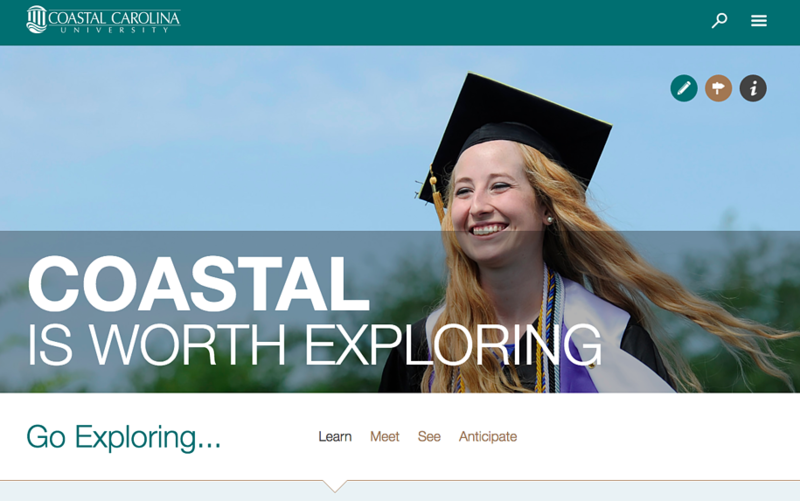 iFactory designed the Coastal Carolina University public website. Contact iFactory to learn how we can help your organization expand its web presence and grow its digital footprint.